Okay, ladies, let’s get in formation… Because it’s National Girlfriends Day! Yes, it’s the official day to gather your squad and celebrate friendship – think girls night out. No matter if you’ll spend this day with your classmates, co-workers, mother, daughter or sister – the important thing is to have quality time to talk and to make great new memories. 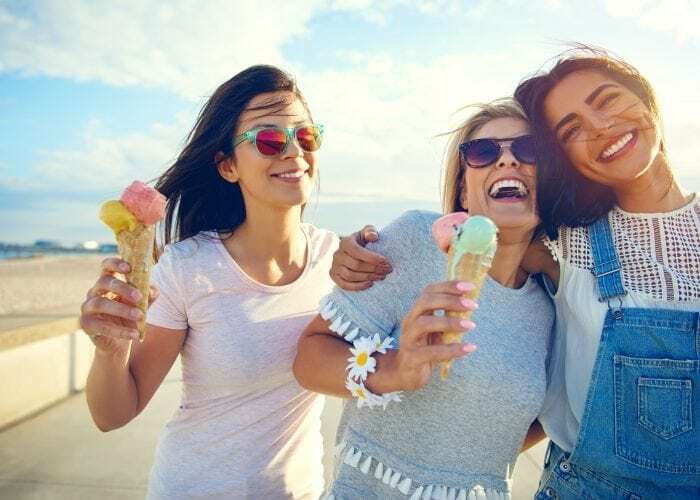 To help you celebrate in the middle of the business week, we made a list with ideas to guarantee an amazing time with your girls. Check it out! Literally. You can enjoy the after-work turn to meet your girl friends in an urban spa and have your hair and nails done while you talk and have fun together! Transferring National Girlfriends Day to the next weekend and spend a couple days on a spa also seems a good deal. Take a look at Groupon and LivingSocial offers to celebrate this day in style. Summer sunset is the perfect time to go for a bike ride or to picnic at a park can be lots of fun. Nothing better than celebrating National Girlfriends Day during the official outdoors season! Take this opportunity to have an ice-cream in the end of the ride – and don’t forget the selfies for the friendship album! Like these ideas? Comment below how you and your friends are going to celebrate today!